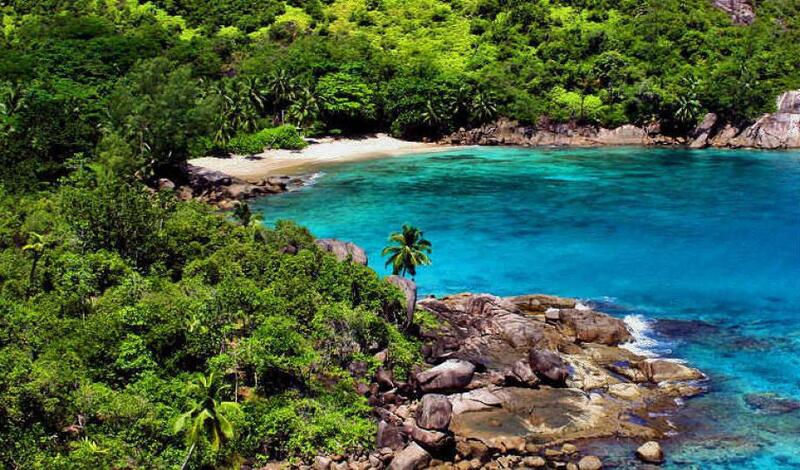 Located in Bel Ombre, Anse Major is a hidden treasure situated far from the hotels and roads on Mahe. 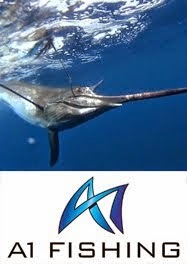 The only ways to get there are by taking a boat or hiking the relatively easy Anse Major trail. With its lush green hills, tranquility and calm waters it’s one of the beaches on Mahe that you can’t miss. 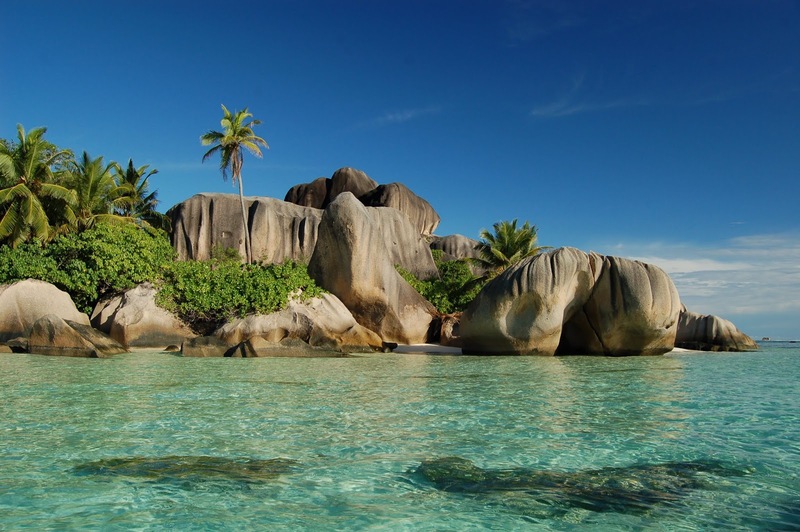 Next on the list is the famous Anse Source D’Argent beach on La Digue. If this beach looks familiar, it’s because it’s been crowned as the most photographed beach in the world by National Geographic. It remains the Island’s most popular beach for its reef-sheltered water, granite boulders and surrounding coral reefs. 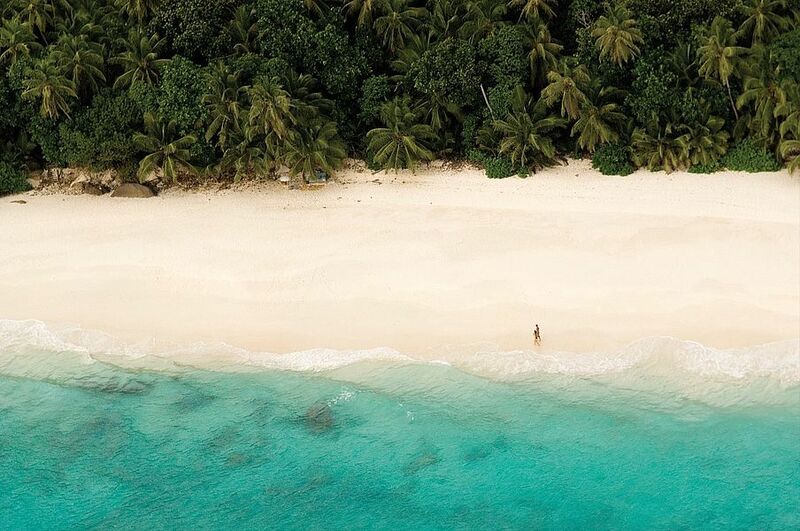 If you are dreaming about an ultimate luxurious beach experience, Honeymoon Beach on North Island is an ideal place to visit because it’s one of the most exclusive beaches in the world. 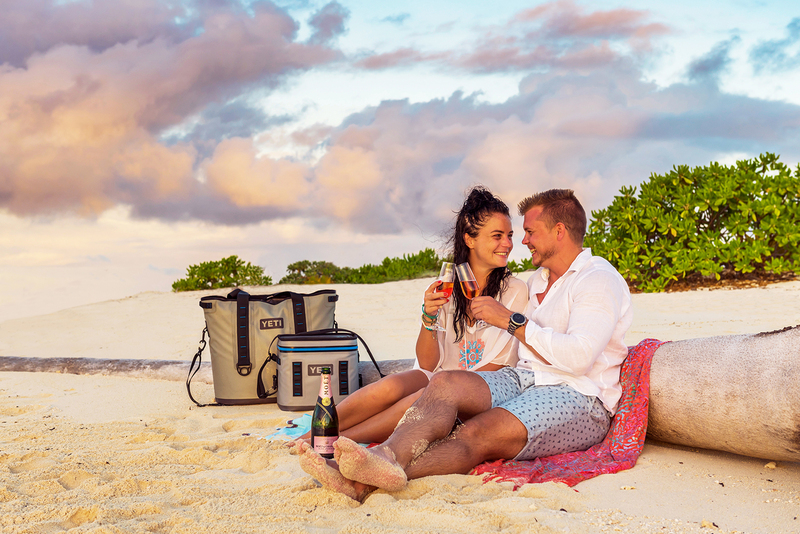 Only the island’s guests can enter the beach, where couples and newlyweds enjoy their private time with a glass of champagne. 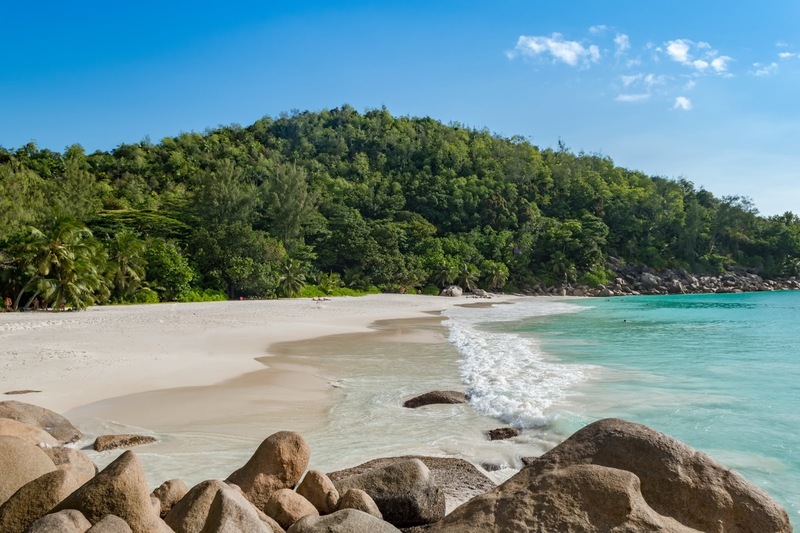 If you are looking for a special beach experience on Praslin, then you should put Anse Georgette on the list. It’s an untouched island gem with softly-sculpted granite boulders and magnificent snorkeling opportunities that’s located on the grounds of a five-star Constance Lemuria Resort. Non-guests must plan ahead and arrange the access through the resort or arrive by boat. Anse Intendance is a wild beach with spectacular views of crystalline turquoise water and dense flora on the south part of Mahe. There are no coral reefs here and the sea is usually too rough for snorkeling, but it’s the best beach on Mahe to go surfing. Here couples can just relax and enjoy the beautiful views. Have an unforgettable beachfront dinner on a romantically secluded stretch of sand while watching the gorgeous sunset filling the sky with colours, and feasting on gourmet dishes. Banyan Tree is also the only place in Seychelles offering Thai cuisine. 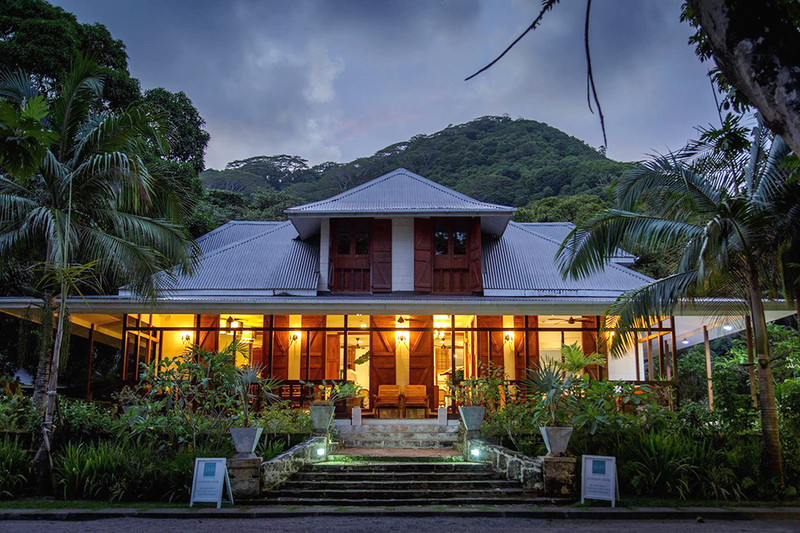 If you are looking for a romantic yet a traditional-style Creole inspired dining experience, La Grande Maison Restaurant is a place worth visiting. Relax and discover a new approach of the Creole taste in the fantastic atmosphere of this Creole ‘Gran Kaz’ whose history dates back to 1792. 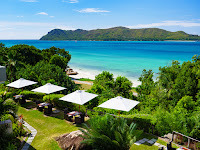 Located in the heart of Praslin, the Raffles hotel is an ideal place for a romantic luxurious dinning on the island. 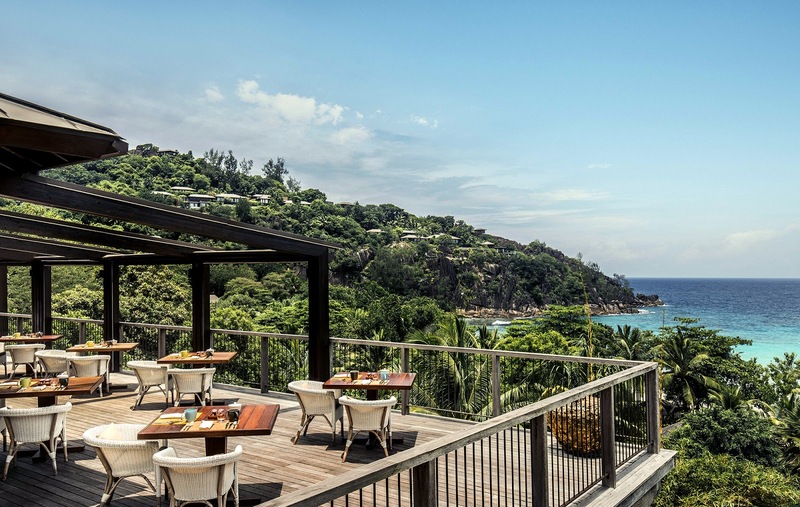 From the Seychelles’ only Asian restaurant, to a sushi room and private dining the hotel offers an elegant dinner setting and mouth-watering food. Enjoy a private dinner while the sun sets over the ocean and gentle waves touch your feet, feeling like you’re the only two people in the world on the Petite Anse beach. The hotel also offers Japanese, Indian, Creole and Western dining experiences. 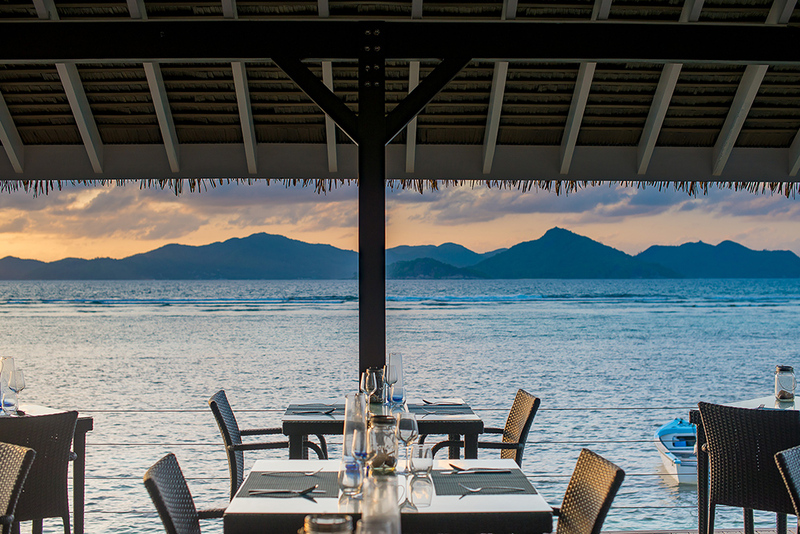 If you’re visiting La Digue during this romantic week, Le Nautique Waterfront Hotel is worth putting on the list for a Creole-inspired dinner. 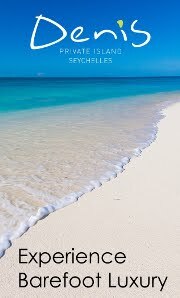 Here you can immerse yourself in the local culture, cuisine and island life surrounded by luxury, comfort and enviable views – the perfect Seychelles experience. 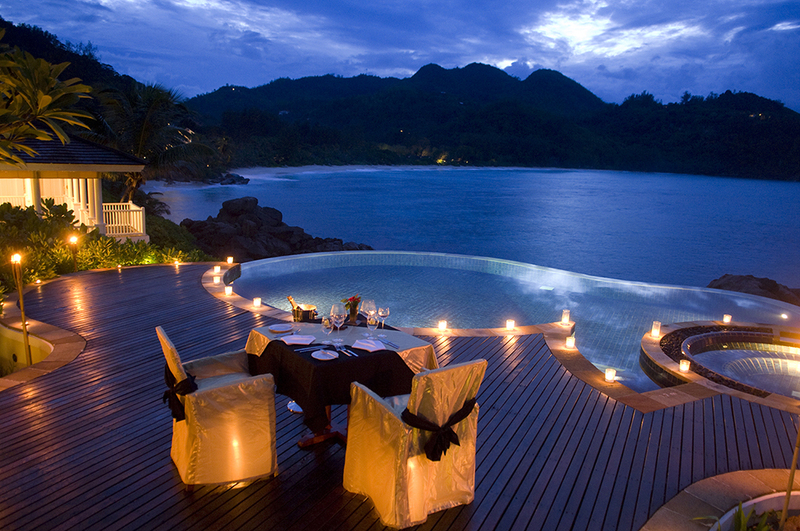 A lot of the hotels in Seychelles offer a picnic on the beach with champagne and fine dining. If your hotel, however, does not provide this service, feel free to improvise and throw a fun picnic yourself on any of the previously mentioned beautiful beaches. With so many islands within the archipelago, why limit yourself to just one? 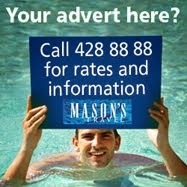 Just contact your Mason’s Travel agent and explore the stunning beauty of the tropical Seychelles and hop on a boat trip or an unforgettable excursion. 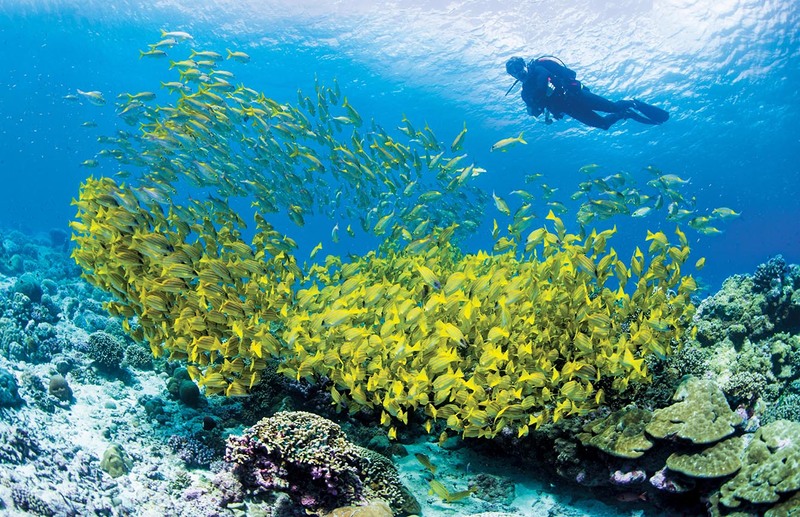 Seychelles is a great place to explore the wonders of the Indian Ocean by snorkeling or diving. With so many different sites, it’s suitable for all levels of experience and sharing it with your date makes it even more special. 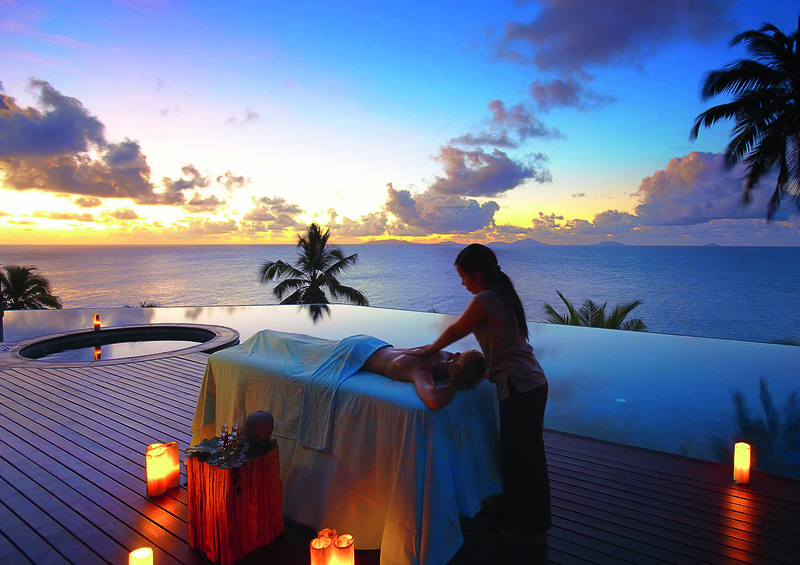 What a romantic holiday would it be without a relaxing couples massage? We all know that a spa treatment makes a great date! You can even choose natural treatments with organic coconut oil to nourish your body. 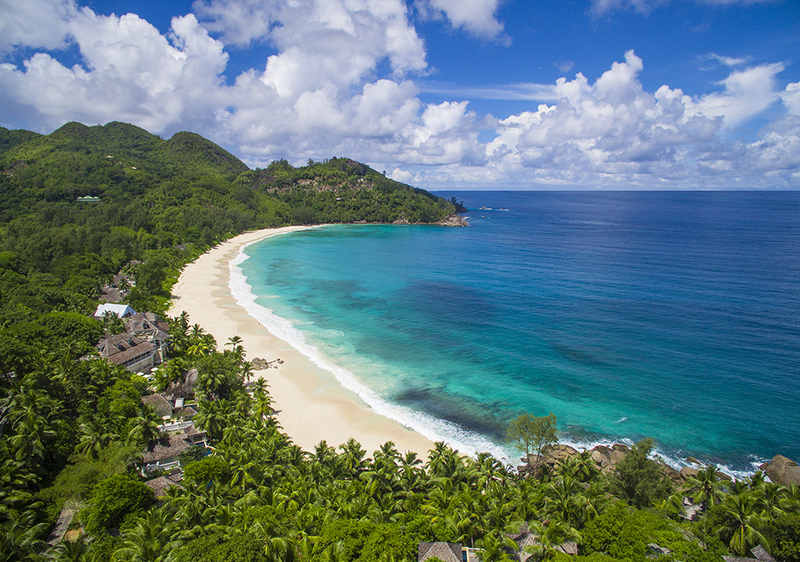 For a truly unforgettable Seychelles holiday experience, hop in a helicopter and enjoy the stunning views from the air. Although the experience is not a cheap one, it’s absolutely worth it, because the views from up above are stunning.